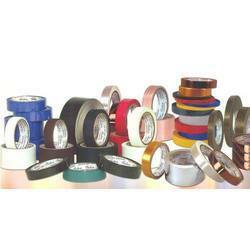 We pamper ourselves for delivering high quality Automobile, Packaging and Gen Purpose Tapes at leading price range. Our aluminium foil tape, HDPE woven sack tape, masking tape & several other are incorporated for high performances using premium material & advanced technology as per industrial standards. We offer these to our clients as per their specific work requirements. Looking for Automobile, Packaging and Gen Purpose Tapes ?